It is over a year now since the removal of Zimbabwe's architect of the economic mess we are in,and the entry of his Siamese twin.Munangagwa and the army took advantage of ,"Mugabe must go "people's sentiments to further entrench themselves in power at the expense of those people they asked to come in thousands to protest against Mugabe. In November,2017 people obliged,thousands joined the protests all over Zimbabwe.The whole world was watching as never - before scenes were the protesters posed for selfies with soldiers .This was a dawn of a new era so it seemed to Zimbabweans scattered in foreign lands as well as all those who have seen how a country became a basket case under the rule of a brutal dictator and his henchmen.Munangagwa put on his mask which he now needs to take off and just show the world he is no different from Mugabe. This was a new era,things would change to a democratic society that tolerated views from across the political divide.Elections...a key process in any democratic country would be free and fair sang the junta frontman. At this moment Zimbabweans temporarily lost it, they sympathized with Munangagwa as he narrated how he had escaped in the process gaining sympathy as he shed crocodile tears . He promised and promised and we were all eating from the palm of his hand . 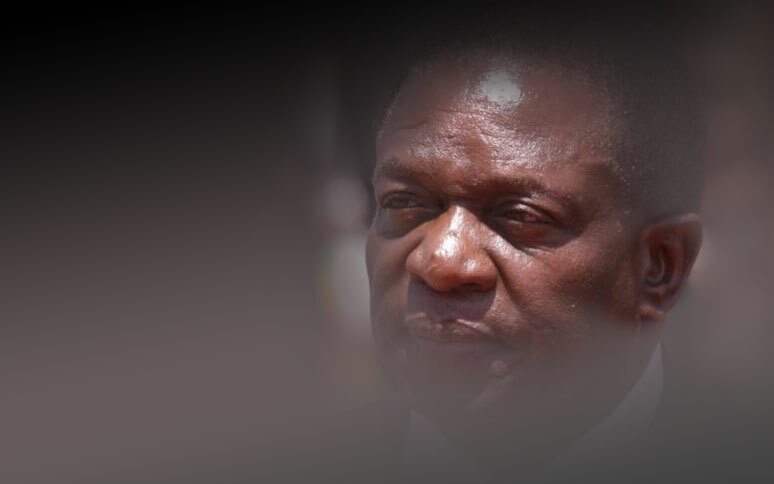 Mega deals,job creation,investors jostling to enter Zimbabwe was the impression given by Munangagwa as his PR team tried hard to sell their man . Events in Zimbabwe prior to elections in 2018 and afterwards just show all along Munangagwa was putting on a mask . It is time he takes off that mask and show his true self .The Zimbabwe Constitution section 59 clarifies on freedom to protest .Why is it a big deal that when the MDC or any other organizations deemed anti-Zanu pf want to demonstrate they seek police clearance ?Why is it in November 2017 people needed no police clearance to protest against a leader they were tired of? Each time a protest is looming the police give chilly warnings that they will deal with protesters heavily .This is no example of a democratic society but further proof that Munangagwa is even worse than Mugabe .The government allows a crackdown on opposition showing typical symptoms of dictatorship . For the police to promise to deal with protesters with a heavy hand shows it is all coming from the top .Why is Munangagwa afraid of protests when he promised to be different from Mugabe . It only shows that he is no different from his predecessor but has been wearing a mask since the day he assumed Presidency.His true colours are showing bit by bit .His party claims they were voted into power ,do numbers lie yes they do if misrepresented.